23rd August 1916. John Robinson, MC. A Social, 1899. Captain & Adjutant, 7th Bn, North Staffordshire Regt.. Died of wounds received in the Battle of El Hannah, Mesopotamia (now Iraq). 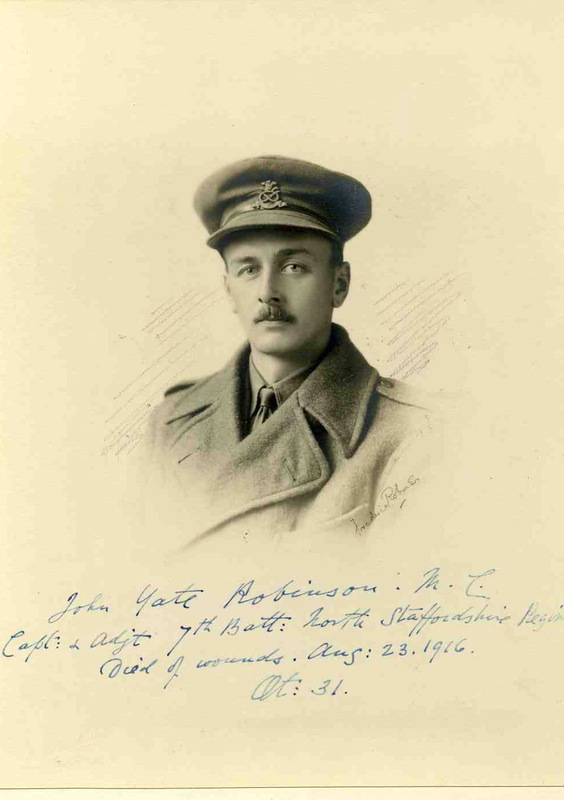 John Robinson was one of the most distinguished Radleians to die in the War. 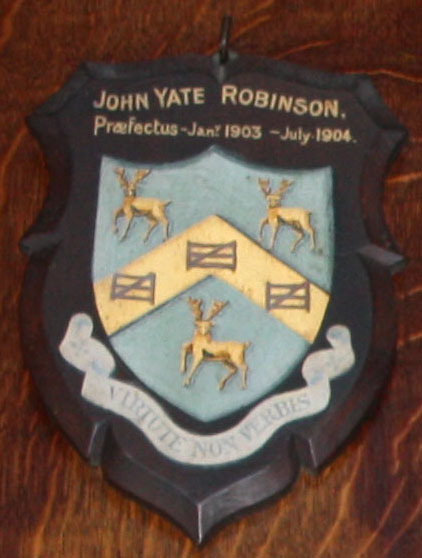 At school he played for the Cricket and Football XIs and was Head of A Social. After school, he went to Merton College, Oxford, where he graduated with honours in history. He played Hockey for Oxford University for four years, became an international player and went on to win Gold for Great Britain at the 1908 Olympics. After leaving university he became a schoolmaster. He enlisted in an OTC immediately War was declared, receiving his commission in September 1914. He served in the Gallipoli Campaign. He was Mentioned in Dispatches and awarded the Military Cross in February, 1916. The same month he was sent to Mesopotamia. He was wounded in the spine in April and died from the injury in August 1916. Posted in Commemorating the Fallen of WW1 and tagged Captain, Flanders & France (Western Front), Hockey, mentioned in despatches, Mesopotamia Campaign (modern Iraq), Military Cross, Olympian, Schoolmaster on 23 August, 2016 by archives602.